Admit it: When looking at the Temple football schedule, you penciled in the first two games as wins, and probably convincing ones. Well, we know how that has gone, with Temple having lost to FCS program Villanova, 19-17, in Saturday's opener. 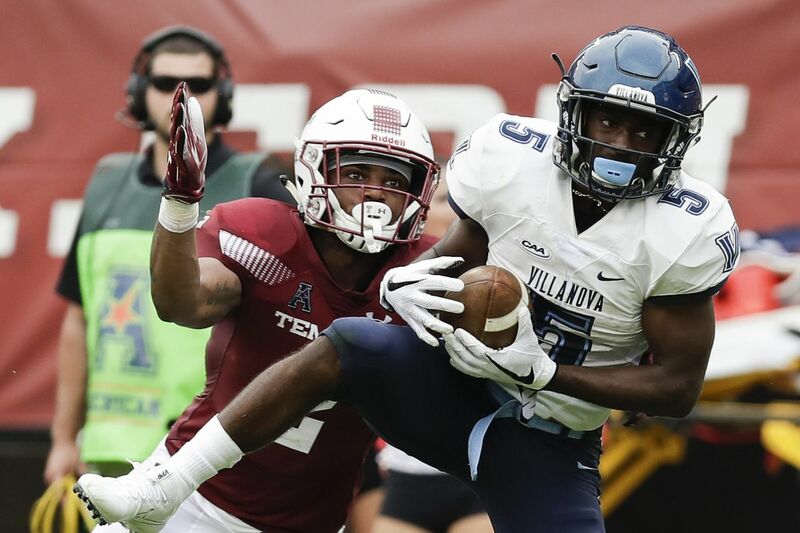 Villanova is a great FCS team, maybe one capable of contending for a national title. That said, the Owls think they can contend in the American Athletic Conference — which is much tougher than some realize — have to beat even a strong FCS team. That didn't happen, and one could feel the eight months of momentum — coming off a 4-1 run at the end of last season, including a bowl win — evaporating suddenly after the deflating home opener. So that brings us to Game 2, which will be Saturday when Temple hosts Buffalo (1-0) at at Lincoln Financial Field. If Temple feels momentum was lost by dropping the opener, imagine starting off 0-2 for the first time since 2013? So it could be argued that losing Saturday's game against Buffalo will dictate the way the season will go and it likely isn't in an upward direction. Temple would then have to visit Maryland, a team that has been torn with well-documented strife. This was a game in the preseason that looked very much for the Owls taking. Except Maryland had to mess things up by upsetting Texas last week. So forget about Maryland for now, a win over Buffalo would restore some much-needed confidence and a loss could spell doom. Not in a 12-game regular season. To the non-diehard college football fan, Buffalo at home means an automatic W.
Except that this might be one of the best offenses the Owls will face. Buffalo 6-foot-7, 245-pound redshirt junior quarterback Tyree Jackson has been drawing raves, and that was before he threw six touchdown passes in last week's 48-10 win against overmatched Delaware State. Temple has been instilled as a 4.5 point favorite, so even Las Vegas still isn't sold on Buffalo as of yet. The Owls trailed by 13-3 after Villanova's first two possessions and if that happens on Saturday, getting back in the game won't be as easy against a Buffalo team that still is smarting from being bowl-eligible last year (6-6 record) and not being invited to a bowl. That happened to Temple when the Owls were 6-6 in 2014. Temple was so mad that it beat Penn State for the first time since 1941 in its opener the next year, while finishing 10-4 and winning the East Division in the AAC. Now Buffalo has the same chip-on-the-shoulder look. Few people thought Temple's season would hinge on the Buffalo game. Head coach Geoff Collins has said that all games are big, none bigger than the other. "There is a process to go through to get ready, it is the same process we went through all last season," Collins said on Tuesday. That process worked seven times last year and didn't six others. It didn't turn out so hot on Saturday. If the process doesn't change, then the execution surely must, or Temple could find its season spinning out of control before fall officially arrives.